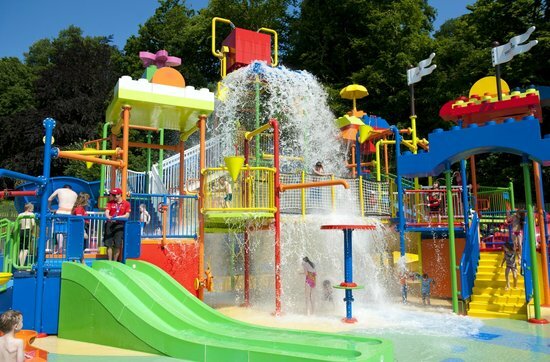 Legoland Windsor Resort, also known as Legoland Windsor, is a child-oriented theme park and resort in Windsor, Berkshirein England, themed around the Lego toy system. The park opened in 1996 on the former Windsor Safari Park site as the second Legoland after Legoland Billund in Denmark. In common with the other Legolands across the world, the park's attractions consist of a mixture of Lego-themed rides, models, and building workshops. The park was acquired by Merlin Entertainments in 2005, which now operates the park, with the Lego Group retaining part ownership (30%). The facilities are mainly targeted at children between three and twelve. In 2015, the park had 2,250,000 million visitors, making it the most visited theme park in the United Kingdom and the 9th most visited in Europe.